Ahhh Strife! Back in 1996, Rogue Entertainment made it's debut with the most ambitious use of the Doom engine yet. Strife hit the scene as the first true story-driven FPS/RPG hybrid. 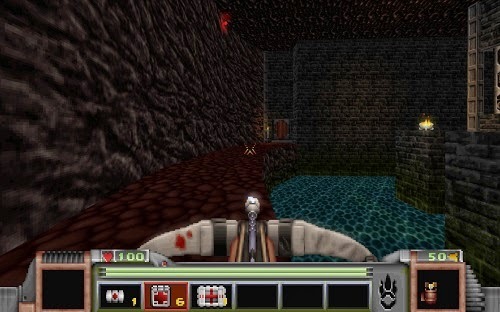 Using a hub system quite similar to Hexen, Strife also added in NPCs, voiced dialog, and actual conversation choices that affect the outcome of the game. Compared to the mindless run and gun action of previous Doom-based games, this was quite a refreshing change. 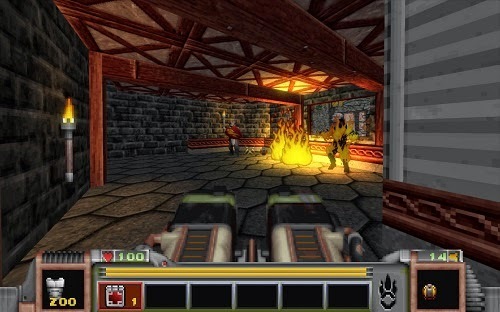 And now 18 years later Night Dive Studios has taken this amazing classic, and given it the kind of re-release that quite frankly I wish could be done for every Doom-engine game! Right off the bat when you start up Strife: Veteran Edition you're greeted with a plethora of options, ranging from enhanced music to widescreen views, FOV, bloom, and all the other trimmings. You want delicious crunchy pixels? You got it! Smoothed filtering your kinda thing? It's there too! 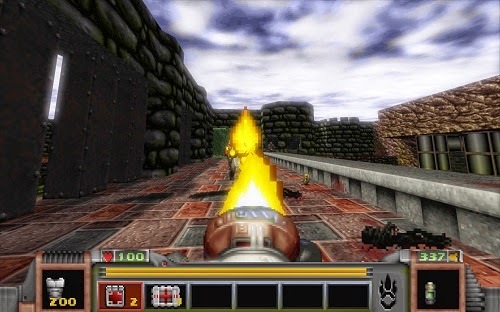 Night Dive Studios has replaced the "vanilla" doom engine with a massively reworked version of the hit source port Chocolate Doom. Despite the source code for Strife being lost to the ages, they have managed to completely reverse-engineer the game, and bring it perfectly into the modern age. Everything that made Strife what it is is completely intact here, and it all holds up very well considering the game's age. From the games stealth elements to its vicious deathmatch mode, this package is just dripping with juicy goodness. The original manual, town map, and field guide are all included as .pdf files, and the Roland SC-55 soundtrack is present as ogg files. Speaking of music, if you want to experience the oldschool synthesizer charms of retro Adlib sound, you can turn on OPL3 music in the sound settings. As if all of the above wasn't good enough, Night Dive has also augmented Strife: Veteran Edition with a set of trading cards, badges and achievements. They are also planning further additions such as a "capture the Chalice" multiplayer mode, and better automapping. If only id Software would hire Night Dive to give Doom, Heretic and Hexen this kind of epic overhaul. Those games sorely need it as the janky Dosbox setup they have on Steam is just not pretty. Strife: Veteran edition is a shining example of what happens with a game company is passionate about both the game at hand, and giving their customers the best experience possible. I've been gaming since I was old enough to reach a keyboard. I cut my teeth on Wolfenstein, DOOM and RoTT, and kept going from there. Now I'm here to share my opinions on all games, big or small!